Built in 2005, the Atlas is a pet-friendly luxury mid-rise condominium close to GWU, Metro, Georgetown, World Bank, IMF and more. 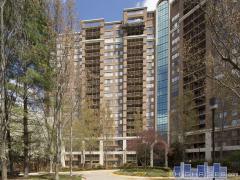 Building amenities include concierge desk, courtyard, fitness center, club room, parking garage and internet lounge. Have any comments or questions about The Atlas? Ask your question and/or share your thoughts about this Building.